Some of you may have heard the story about the Lamborghini delivery guy who decided to give the Lamborghini he was delivering a car wash before sending it to the customer. He drove into one of those automatic car wash machines at petrol stations. Needless to say, it was a disaster. The car was too wide for the machine and the paint was completely ruined. Do not make his mistake. If you ever want to give your Lamborghini a car wash… here’s where to do it. Miracle Detail. Miracle Detail is an extremely premium car wash outfit in the UK which basically is self-proclaimed best carwasher in the world Paul Dalton’s one-man outfit. Paul has been washing cars since he was 13 years old. He charges Â£5,000 (RM33,399.50) for his top-of-the-range Pinnacle car-wash, which uses the best techniques, equipment and expensive Zymol wax which costs Â£7,000 a tube. About three tablespoons of the Zymol wax is used per car. The RM33,399,50 car wash is a 52-stage process which begins at dawn with degreasing, four washes with four different buckets and four different sponges, with filtered water at a perfect temperature of 30 degrees celcius. He uses electronic probes to measure paint thickness to micron-level for removing scratches. Polishing is done using rotary polishers. Extremely gentle towels are used to dry the car. It’s just ridiculous. 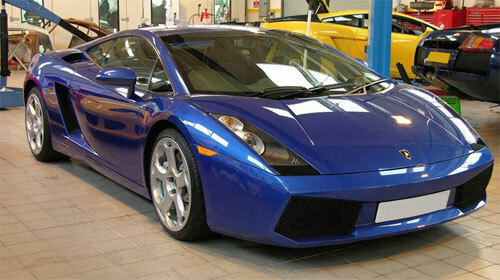 One of his clients is Rod Stewart, who sends his Â£700,000 Ferrari Enzo to Miracle Detail for car washes. Â£5,000 sounds fine for a Â£700,000 car, but RM33,399.50 can almost buy you a Naza Sutera here! But the results are fabulous. Check out Miracle Detail’s photo gallery.